I'm so excited, and honestly a little nervous, to announce that I'm hosting my first HealthyWage challenge. Not sure what that is? Neither did I until a few weeks ago. Now that I know, I can't wait to start! 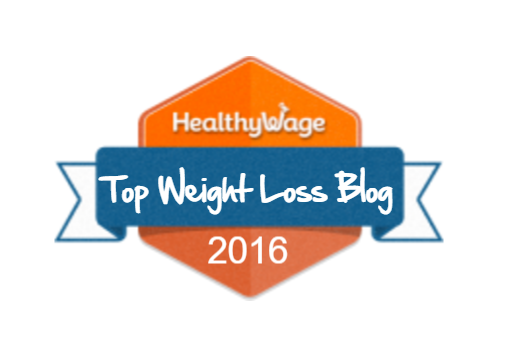 Remember how I was nominated by HealthyWage as one of the Top 50 Weight Loss Bloggers of 2016? Well, they've also invited me to Host a HealthyWage challenge of my own! 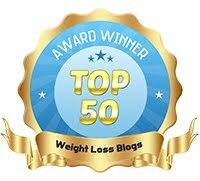 I am going to be partnering up with HealthyWage and many of the other Top 50 Weight Loss Bloggers of 2016 to offer a weight loss Jackpot Challenge for my readers and their friends, family and colleagues. Our challenge starts January 6, 2017! Here's how it works. Sign up with a buddy to form a team of 2, or gather some friends, family members and/or co-workers to form a team of up to 9. You can build a team or we can help you join a team, if your own friends and family aren't interested. Each participant puts money into the Jackpot ($20/mo or $60 total). Your team will be competing to lose 6% in 12 weeks! Winners (teams that lose 6% before the end) each get an equal share of the Jackpot. For example, if you weigh 200 pounds, your goal for 12 weeks would be to lose 12 pounds. 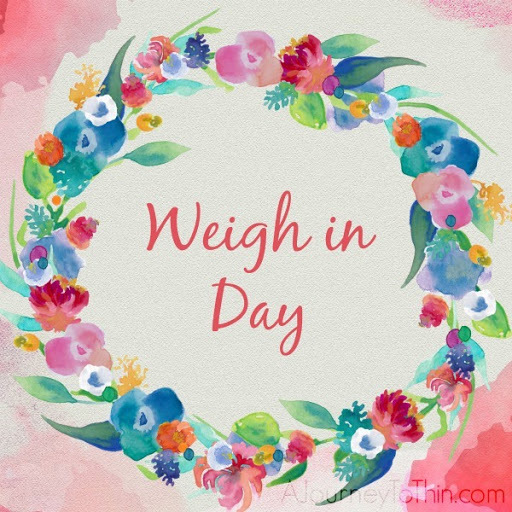 Only you will know your weight and your weight loss goal (no need to share unless you want to). The sky's the limit on how big the Jackpot can grow, and each participant's payout depends on how many people enter and how many people win. Typically, if your team hits the goal, you could double your money or more! If you have any questions, please leave them in the comments section below and I'll get back to you soon. 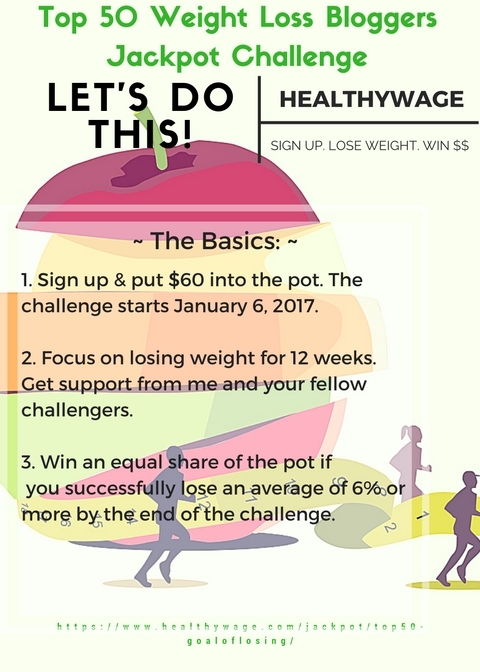 If you are interested in joining now, follow this link to register: Goal of Losing's HealthyWage Jackpot Challenge. The challenge starts January 6th! I hope to see you there!